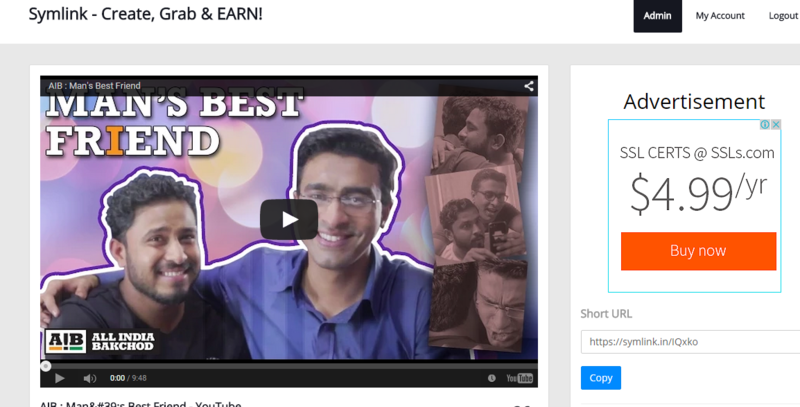 Reviews Symlink URL Shortener: EARN with a twist! Have you ever received an email with a super-long link in it—a link so long it was unclickable? I certainly have. Enter the amazing URL shrinker, a handy tool that shortens lengthy URLs (web addresses) to 25 or so characters. We introduce you to one of our sister URL shortener sites with a twist. Symlink URL Shortener is a new and trending URL Shortener that allow users to register an account with them and earn on the go! Morelike if you don’t have an adsense account, Symlink URL Shortener is your answer. It makes you liable to use their service by getting a premium account with them and you can earn with their service. They also have other variety of concept to partner with blogs and leading website to work as a traffic exchange and link exchange by giving partnership banner and back links to sites. Go ahead and check out it’s awesome features! 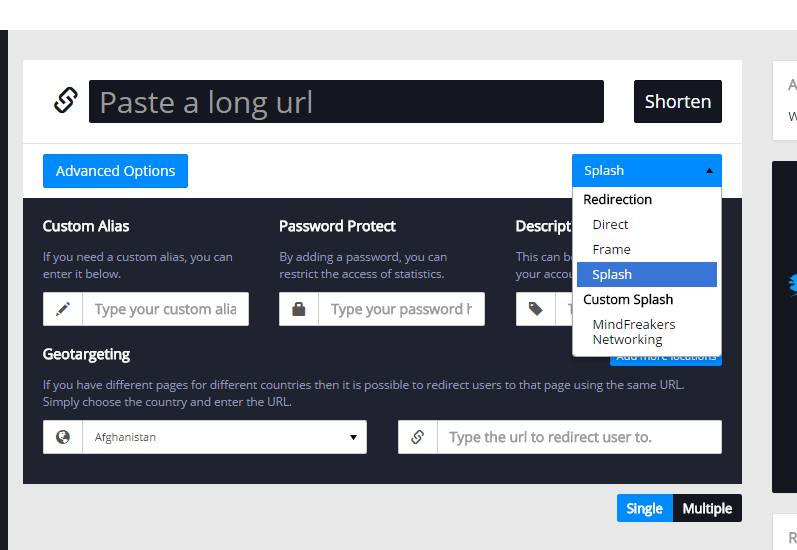 Symlink URL Shortener – Create, Grab & EARN! clearly specifies the service offering where you signup with them and for each splash URLs you make with them, you are easy to earn as same as Adsense give you! They work on profiting and giving revenue to the users from the amount of URLs they have made. Symlink URL not just shorten you links but also make it alot more profitable than ever to you and your blogs, websites and other services! Go to Symlink URL Shortner official website. On the top right, click on Get Started to visit the registration page. Register your account and verify your email! Login and start creating URLs! Now for each SPLASH URL to create with them, they pay you on the go depending upon the ads clicked and the impressions on the splash URLs you have made. Media Pages: If you share up a YouTube or any video or media, they will make a media host page for you which you can easily embed and earn with it as well. Here is an example where we made a media page and it works fine, even if you make a direct link, it will act as a source for you to generate revenue for it. Splash Pages & Analytics: With custom splash pages, you can sell your products, create back links to your website along with put your own Adsense account ads! It allows great way to customize and target audience in almost every part of the country. You can choose different method of redirecting your users along with how you want them to view the page, the title, description and yes you can add custom alias for yourselfs. Custom Domain: Apart of just this, if you have a new domain or a short url, you can drop an email to them and they can put your URL in use as well. So people can use symlink.in as well as yourDomain.com as well to make short URLS. It’s more like a custom domain branding where you earn full on your domain! So when you put your domain with them, all the earning from your domain goes to you! We have also confirmed that the analytics are counted differently with them and they allow users to get a high level of analytics record. What’s your favorite URL shortener? Can you recommend one that’s you want us to review? Commend below now! Note: The policy of CPC (Cost Per Click) and Impressions on Ads is the way to the Google Adsense profile and their own manner. The more popular your URL is, the more you earn! So what are you waiting for? Go ahead and start creating your SYMLINKS! Symlink URL Shortener is a leading service that allows users with a method to create, grab and EARN method of URL Shortener with Adsense! Learn more!